Working on press days for spring/summer season always fill us with joy; building a set with a pastel colour palette means we get to spend our time dreaming about the warmer days returning. 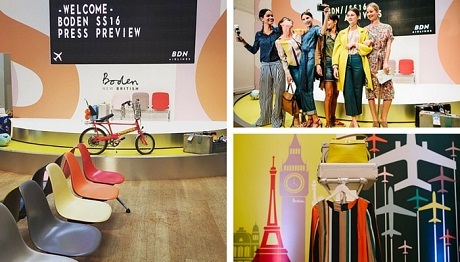 Our brief for the Boden SS16 press day this year was to capture that spirit of summer and travel to glamorous holidays in sunnier climes. 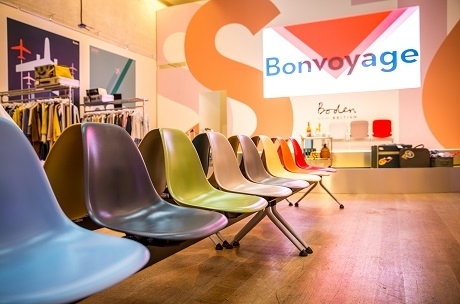 Our role was to help Boden create a sense of a journey abroad by building a set which gave guests a ‘Grand Tour’ of the new season’s range prior to the collection landing in January 2016. Press were invited to the event with a BDN Airlines boarding pass, which gave them the first clue to the theme that waited them at The Hellenic Centre, which we had helped to transform into a whimsical airport arrivals lounge with animated artwork displayed on a giant arrival screen. 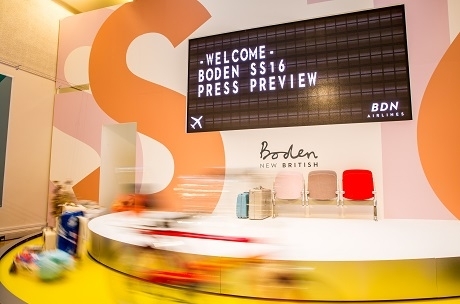 One of the favourite features from the day was our luggage conveyor belt which acted as a rotating catwalk, delivering models and their clothing into the first class lounge for waiting press to admire. Bloggers and press have been swooning about the new range that they got to see (pink and orange shoes along with tassel bags have been flooding Instagram accounts everywhere!) but as well as the clothing they also fell head over heels for all the styling details, including the vintage travel magazines and retro suitcases. 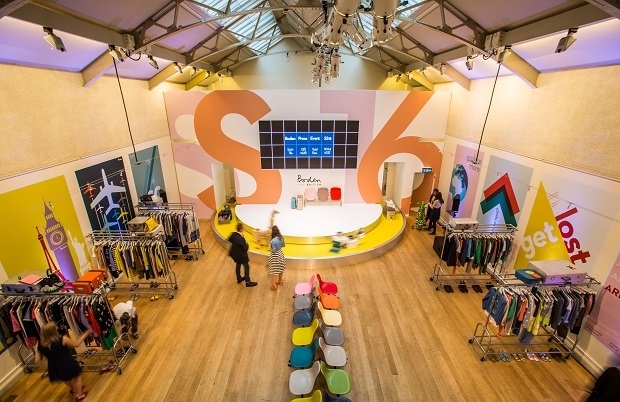 The attention to detail by Boden, from signage to the tags on the clothes, ensured the press day was a flight of fancy to remember and we were delighted to see photos of our animated graphics were widely shared over various social media platforms.